Global warming and other climate change eventslead to a constant rise in ambient temperatures. Exposure to higher than optimal temperatures is negatively affecting sexual reproductive performance, leading to low seed set and a consequent yield reduction. Pollen is considered more heat stress sensitive than both vegetative tissues and the female gametophyte. But this sensitivity to heat stress is not uniform during pollen development and function. Pollen grains are more sensitive at the early stages of development (anther wall development, microsporogenesis and microgametogenesis) than pollen at later stages (pollen maturation and anther dehiscence) or during the progamic phase (pollen hydration, germination, growth and guidance of the pollen tube). Heat stress is thought to be sensed by four types of sensors including cyclic nucleotide-gated calcium channels (CNGC), unfolded protein response (UPR) in endoplasmic reticulum (ER) and cytosol and histone proteins in the nucleosome. Each sensor activates pollen heat stress response (HSR) through reprogramming of the transcriptome, proteome and metabolome. HSR restores cellular and metabolic homeostasis in the pollen and avoids damage elicited by heat stress. 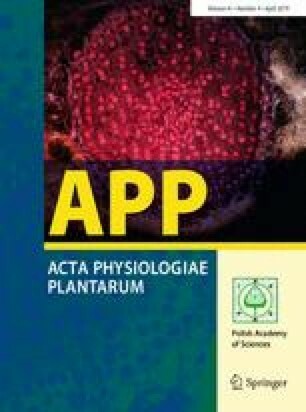 In the first part of this review, we have summarized current findings regarding the effect of heat stress on different stages of pollen development and performance. In the second part, the responses of pollen to heat stress are discussed. Finally, directions for future research on pollen HSR are discussed with a focus on breeding crops with improved thermo-tolerance, thus capable of withstanding the current context of global warming. Funding was provided by University Grants Commission [Grant No. F.NO. 41-451/2012 (SR)].